Hospitals and nursing homes are already slowly starting to embrace electrostatic technology. However, more lucrative sales opportunities exist in education, says Tarvin. In addition to targeting difficult-to-reach areas, electrostatic machines are adept at disinfecting large spaces in a short period of time. Clorox’s electrostatic machine is used for cleaning and disinfecting schools, as well as athletic facilities, including locker rooms and gymnasiums. Manufacturers also recommend electrostatic systems for use in office buildings, as well as the food service industry to clean and sanitize food contact surfaces. 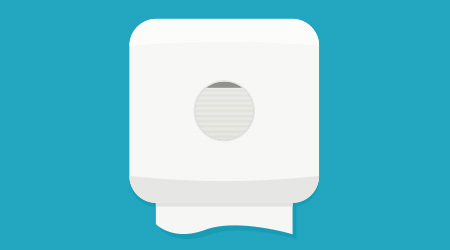 Other uses include odor control applications to counteract smoke or mitigate urine smells in restrooms, says Tarvin. While the cost of electrostatic machines may hinder some facilities from purchasing them (units range from hundreds of dollars to thousands of dollars), the financial burden associated with contagious infections is potentially much greater than the machine’s price tag, says Gray. In one instance, Earthsafe Chemical Alternatives outfitted a hospital with electrostatic units following a C. diff outbreak. Kassandra Kania is a freelance writer in Charlotte, North Carolina. She is a frequent contributor to Sanitary Maintenance.